Chewbacca and Louis C.K. aren’t that dissimilar. They’re both creatures living in strange times. The two also have nicknames that end with a vowel. And so, while it took the internet a while, somebody finally drew a connection between the two, even though they’re from different galaxies. 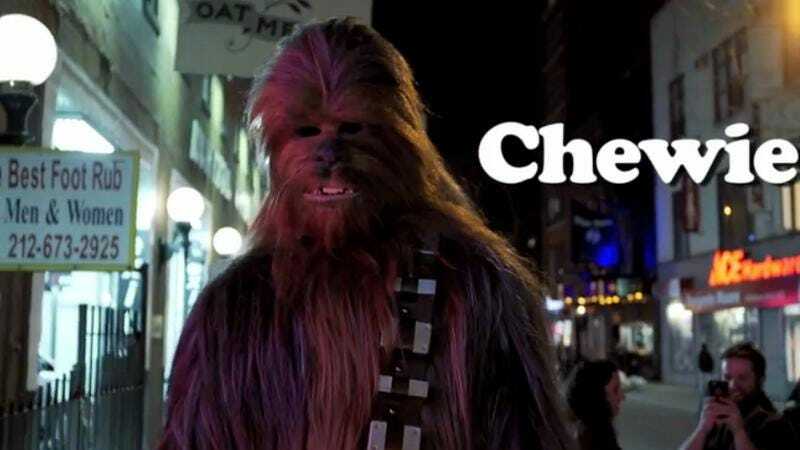 Before Louie’s season premiere tomorrow, Nerdist gives us Chewbacca starring in the Chewie opening sequence. In a scene edited by an Annikin Starkiller, Chewbacca traverses a New York that features vulgar Stormtroopers and a pretty chill Comedy Cellar audience.